St. Vincent and the Grenadines lawmakers giving the green light to decriminalising marijuana for medicinal and scientific purposes. KINGSTOWN, St. Vincent and the Grenadines, December 13, 2018 (CMC) – St. Vincent and the Grenadines has become the first Organisation of Eastern Caribbean States (OECS) to pass legislation, allowing for the decriminalisation of marijuana for medicinal and scientific purposes. The nation’s parliament approved two pieces of legislation that also allows for the production of the crop, under a tightly-controlled framework. 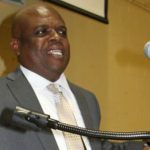 Agriculture Minister, Saboto Caesar, who piloted the measure, said that it would end many of the sufferings people had endured in the illegal marijuana trade. “Mr. Speaker, there are people, who are suffering and who have suffered in our country, and this bill is here, to give them an opportunity to earn a livelihood; and that is why we have carved out a special area for the traditional cultivator,” he said, just before moving the Medical Marijuana Industry Bill to a vote. 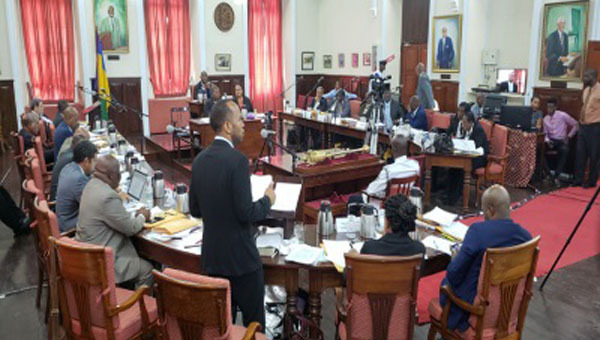 Lawmakers also approved the Medical Marijuana Amnesty Bill, amidst calls, by the opposition and some members of the Rastafarian faith, for the Ralph Gonsalves government to go the full length and legalise small portions of the plant for recreational use. A third bill, “Permitted Use of Cannabis for Religious Purposes Bill 2018”, was withdrawn, after members of the Rastafarian community told the government that a law could not give them permission to use marijuana, which they consider a sacrament. Caesar said cannabis is not something only for a local context and discussion, and mentioned the international treaty that the island had signed. He said that Kingstown has already alerted the International Narcotics Board that in 2019, the island will increase the poundage of cannabis, produced within the state. 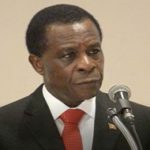 “In fact, every year, Mr. Speaker, the Drug Inspector has to submit to the International Narcotics Control Board, what is the poundage of cannabis that the state is going to deal with,” he said, noting that last year, St. Vincent and the Grenadines submitted two grams. “For 2019, it is going to be exponentially increased,” he told legislators. 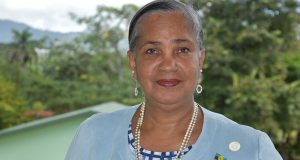 Regarding the production and productivity of marijuana, raised by Member of Parliament for Central Kingstown, St. Clair Leacock, the Agriculture Minister said the amount of money the country intends to make will be determined by a number of factors, including the standards that will be produced. 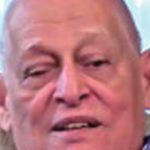 He said St. Vincent and the Grenadines has excellent climate, good water supply, available arable land — though incomparably in size to other countries. 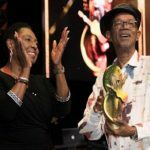 “But one of the primary things we have, is that we have the climate to be able to cultivate, all year round, in St. Vincent and the Grenadines, at a lower cost than in North America, because of the climate,” he added. 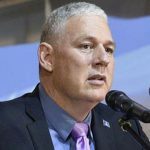 Caesar told lawmakers that he was asked at an event in the United States, recently, why the island is so attractive for the establishment of a marijuana industry. “And the grower said to me: ‘I can grow all the cannabis I want in Michigan, more than the whole of St. Vincent and the Grenadines can produce, but the cannabis I produce in Michigan, I cannot export it beyond the border of Michigan’. 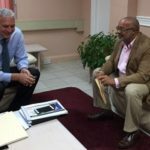 “Very critical point, Mr. Speaker, hence he was attracted to come to St. Vincent and the Grenadines, because there are persons, from Europe, calling him to buy cannabis and cannabis products from him, but he can’t sell to them because he cannot export from Michigan,” the Minister explained. Caesar said that the financial returns for the island, from the industry, would also be dependent on whether or not states in the US are allowed to export the drug, adding “it is going to be a totally different ballgame for the entire global cannabis space. 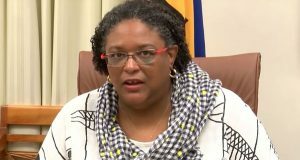 The Agriculture Minister said there would be a number of questions in a “new space”, as he responded to a query from opposition lawmaker, Kay Bacchus-Baptiste, who had said that there are more questions that answers. 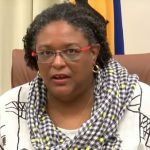 “But the tissue culture lab is already engaged and, at the Cabinet level, a cannabis development and research unit has already been established,” he said, adding that there are several persons, who have applied to do scientific research. 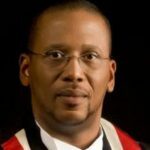 But he said instead of giving everyone an order to do research, it might be best to limit these orders to the Ministry of Agriculture, to the Bureau of Standards, and the University of the West Indies — which already has an order – and allow persons, who wish to do research, to work in conjunction with these entities. Caesar noted that it is important that persons, particularly foreign investors, investing in cannabis, also invest in agriculture and also lend their expertise in the development of the “infrastructure and hardware needed for St. Vincent and the Grenadines to develop a modern medicinal industry, separate and apart, but still a part of the framework of the medicinal cannabis industry, of which cannabis is just one crop”. He observed that the value of clinical research is very high, and is something that a country can have an absolute advantage in “once you strike goal in an excellent clinical discovery”. “Mr. Speaker, I don’t want to stand here, as neither a judge or a member of the jury, on the context and the text of the report CARICOM Regional Marijuana 2018, but save and except to say, Mr. Speaker, that I think it was not a slight of hand by the opposition but a misreading of paragraph 12, that leads with law reform for cannabis, designing a regulator approach,” he said. A years-long study by the CARICOM Marijuana Commission recommended that the plant be decriminalised for all purposes, and warned against a medical marijuana only approach to reform. 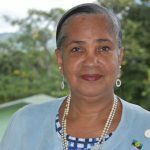 Caesar also said the International Narcotics Board constrains the island in any attempts to decriminalise marijuana for non-medicinal or research purposes. He noted, that in 2015, Jamaica passed an amendment to decriminalise two ounces or less of marijuana. 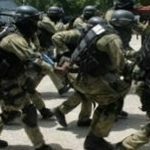 On the heels of that development, the International Narcotics Board said in its report that it “continues to follow closely drug policy developments in the region, including the adoption of amendment of framework regulating substances under international control in Costa Rica, Guatemala and Jamaica”. 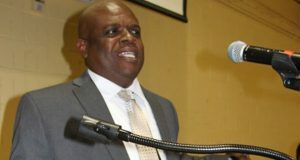 Caesar said that the board said that when governments are considering changes to their drug policy, they should ensure the changes are consistent with their obligations, under the international drug control conventions, and noted the developments in Jamaica are not in keeping with the international conventions. 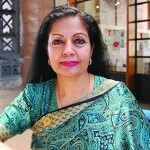 In 2017, the board invited all governments to their reiteration of commitment to the drug control conventions and that in keeping with those conventions, the use of a narcotic drug is limited to medicinal and scientific purposes, and all other uses are incompatible with the intentional drug control legal framework. Caesar said there is a strong possibility that if a country does not follow, closely, its international legal obligations, pursuant to the conventions that it has signed, “it is not far fetch that they can have serious and severe implications for banking”. “The case that we are going to make, if the issue is raised that we cannot have the banking models that we are proposing, we are going to say that we are acting within the four corners of international law, therefore, do not place us in the same boat as other countries that you have visited that have acted out of line,” he said. Caesar said the legislation “exhibits a high level of social and public responsibility, promotes industry and I take very seriously the point that was raised — the role of the herbalist — and it is going to be the task of the Bureau of Standards and Industry and the Diversification Unit to meet with these herbalist and bring them up to the level, where they can produce a product that can be properly labelled and sold on the local market and even exported”. “The bill is scientifically sound and the bill is intra vires of national and international jurisprudence. Mr. Speaker. For these reasons, and supportive reasons from other members of this Honourable House, I wish this bill a safe passage through this House,” he added.